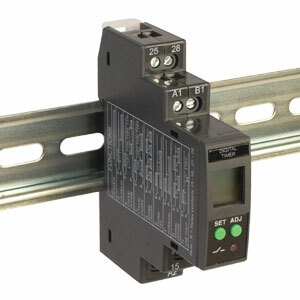 The AU-AMT Series of DIN rail mountable digital multi-timers includes four models featuring 8 or 18 timer functions to offer highest flexibility in controlling operations. The time range is adjustable from 0.1 second to 999 hours. An LCD display shows current run time information.